baffle and delight Christie’s fans as well as readers who have not yet read her work. Visit here to check out exclusive content and read the first chapter of this highly anticipated book on the official Agatha Christie site. 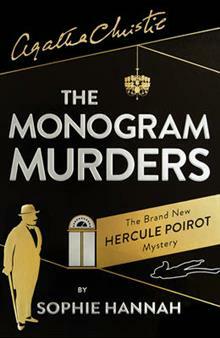 Parramatta Library has created a reading list below of all the Poirot stories the the order suggested by AgathaChristie.com, the library holds all stories in ebook format and most in print – check out the Pinterest board for easy access to titles. This entry was posted in All, Book Reviews, Books to Screen, eLibrary, Fiction, Mystery & Crime, Reading Lists, Recommended Reading by admin. Bookmark the permalink.